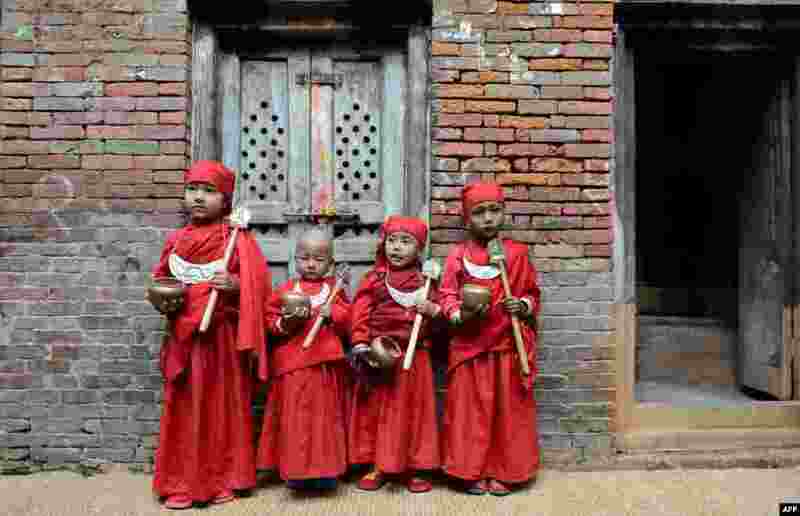 ۱ A group of Nepalese Buddhist boys are seen before they attend Bratabandha, a coming-of-age ceremony, in Kathmandu. 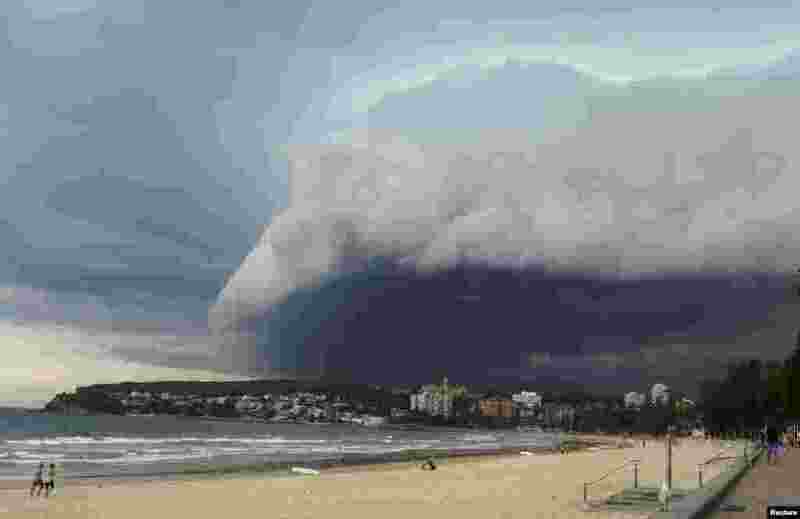 ۲ A wave-like cloud looms over Sydney's Manly Beach, Australia, during an afternoon storm front. The storm, which generated little rain, was blown out to sea. 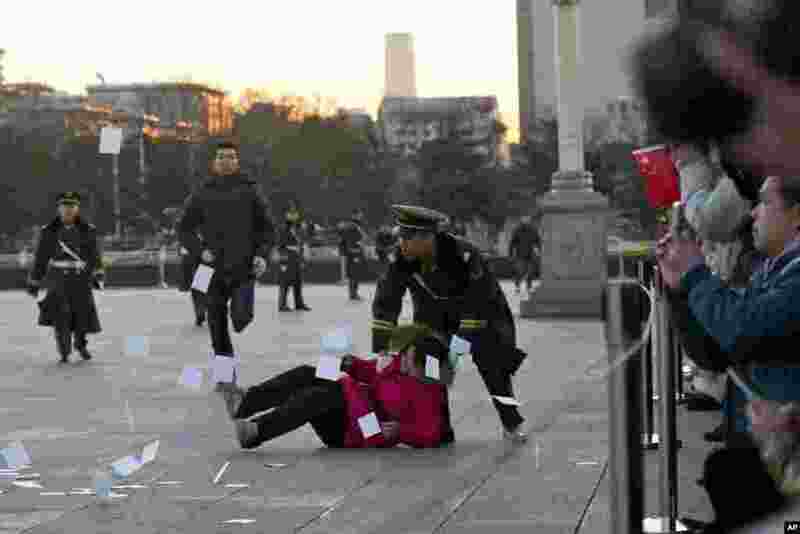 ۳ A petitioner is pushed to the ground by a paramilitary policeman after she ran into a cordoned off area near a national flag pole on Tiananmen Square and threw up flyers to protest her case of injustice, during a national flag raising ceremony early in the morning before the opening session of the annual National People's Congress at the nearby Great Hall of the People in Beijing, China. 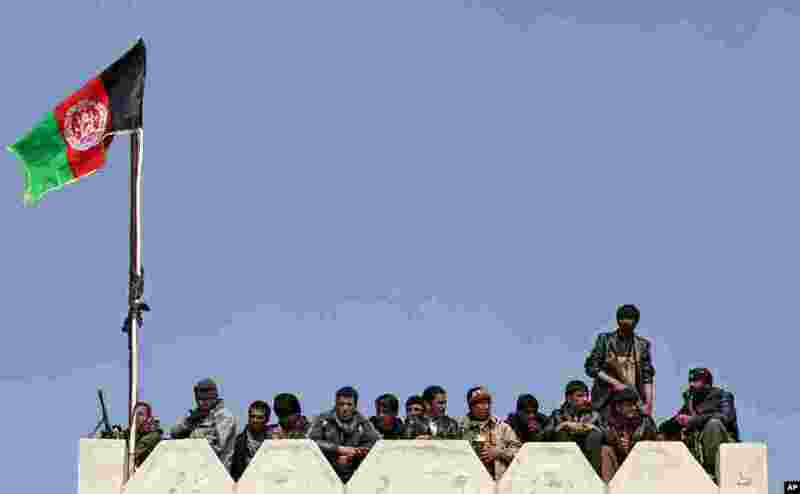 ۴ Bodyguards of Afghan presidential candidate Abdullah Abdullah stand guard as they listen to his speech during a campaign rally in Deh Sabz district on the outskirts of Kabul. 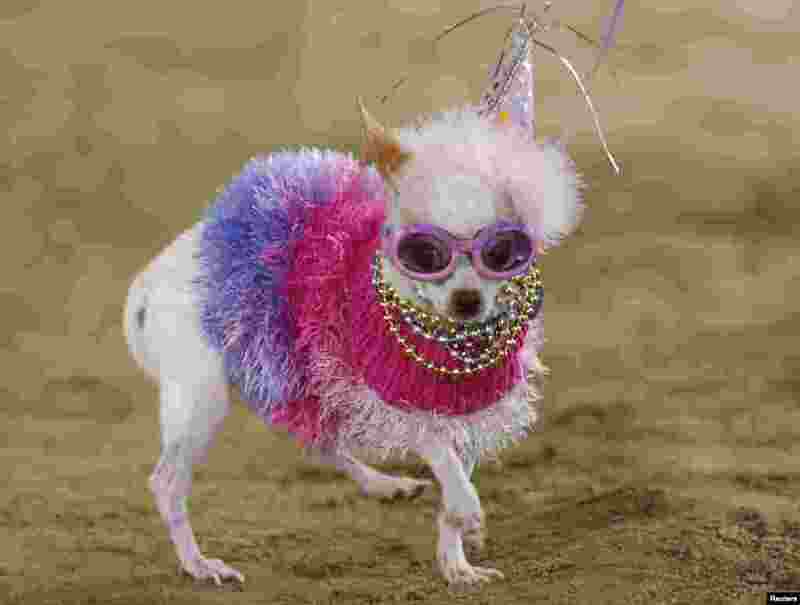 ۵ Bianca, a chihuahua, competes in the second annual Doggie Gras Parade and Fat Cat Tuesday Celebration at the Helen Woodward Animal Center in Rancho Santa Fe, California, Mar. 4, 2014. Bianca won the contest and was named queen of the doggie Gras parade. ۶ Oscar Pistorius leans over to speak to his legal counsel from the dock in court on the third day of his trial at the high court in Pretoria, South Africa. Pistorius is charged with murder for the shooting death of his girlfriend, Reeva Steenkamp, on Valentine's Day in 2013. 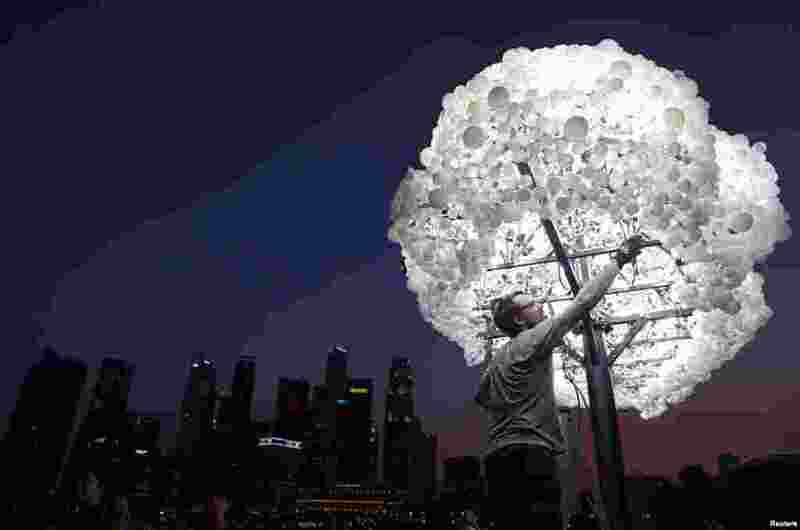 ۷ Wayne Garrett of Canada makes final touches to his art installation "Cloud" ,made up of 5000 new and recycled lightbulbs, along the Marina Bay in Singapore. 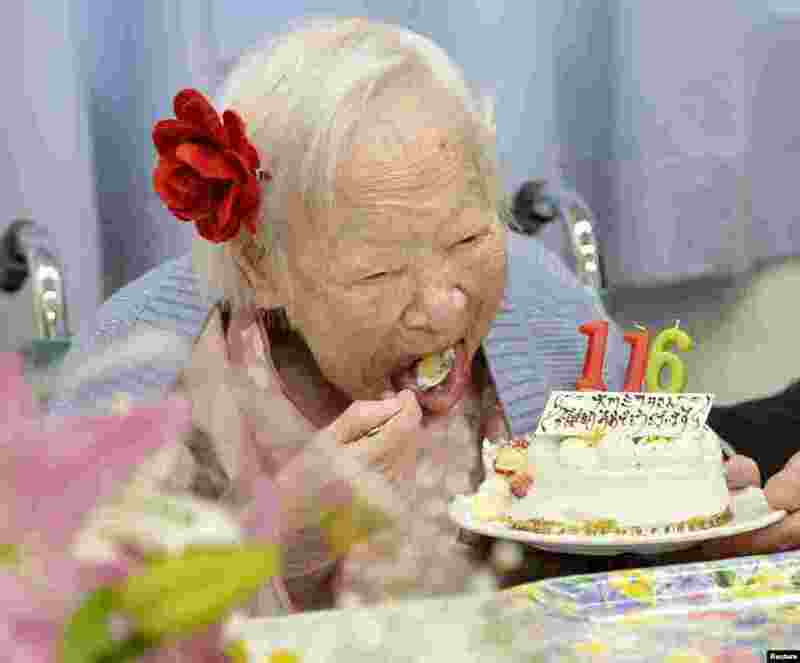 ۸ Japanese Misao Okawa, the world's oldest woman, eats her birthday cake as she celebrates her 116th birthday in Osaka, western Japan, in this photo taken by Kyodo.